To keep from messing up the sand while focusing on operating the still camera, I had to meditate, quickly switch off the garden, then take the picture. 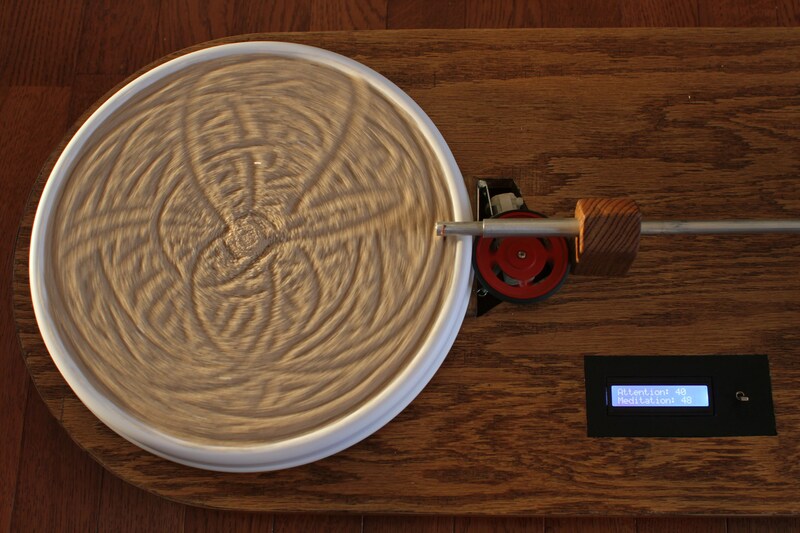 The garden is spun at a constant rate when turned on. The Arduino uses a SparkFun BlueSMiRF Silver Bluetooth modem to continuously get the meditation score from the headset. The larger the score, the slower the rake servo is moved through its back and forth pattern. Low and sporadic scores result in sloppy sand drawings, while neat spirals can only be obtained through sustained meditation. You can find the code for the Arduino on GitHub. I spent a lot of time debugging this project. One of my sticking points was where to put my custom code inside the code for reading the headset’s data. There is a place in NeuroSky’s example code that says “Put your code here”, but things only go well if you put your code elsewhere inside a “if (bigPacket)” statement. 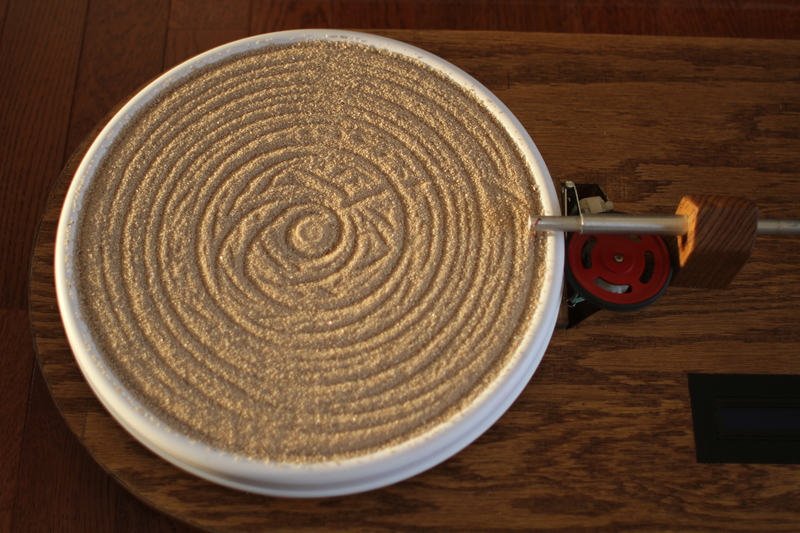 Have fun making your own zen garden, and be sure to report back.